First and second graders will participate in our intramural program. The registration fee is $80.00. Kindergarteners are eligible but they must receive permission from Optimist Lacrosse Director Jeff Pettit (OptimistLax@aol.com). This program requires full equipment: helmet, shoulder pads, arm guards and gloves. Optimist Lacrosse will provide this equipment with a security deposit of $150.00 which will be returned when the equipment is returned. Players should provide their own mouthpiece, soccer style shoes and a stick. Optimist Lacrosse has a limited supply of sticks to loan on a first come, first serve basis. A reversible, numbered pinnie will be provided at no additional cost. The program runs on Sunday afternoons from March 31 to May 19. The time has not been decided. The emphasis is on skill development, but players will scrimmage and participate in other activities to keep them interested. We expect to play â??gamesâ?? against neighboring programs in late April and early May. 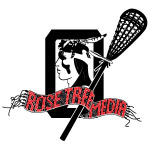 Check out this Lacrosse club team 'Spring 2019 Boys First And Second Grade Intramural Program' with Rose Tree Media Optimist Sports!